EUROPEAN SPA TREATMENT is a gentle but firm pressure point massage of over 7,000 nerve endings in the feet, to help promote balance. (included is a Brazilian toe massage). 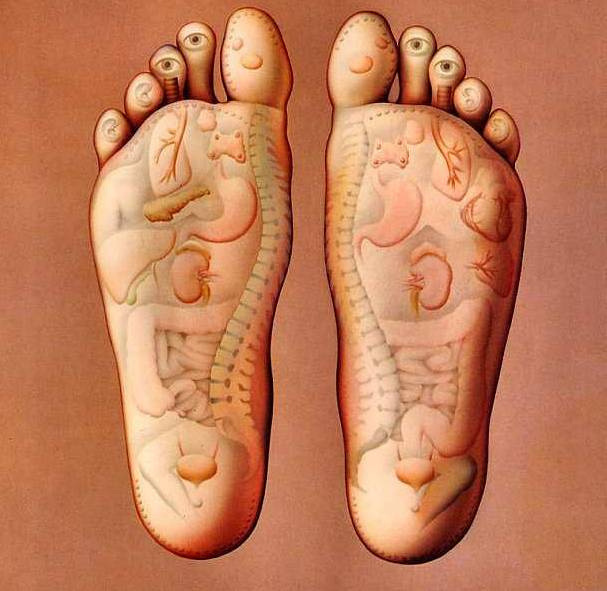 THAI FOOT REFLEXOLOGY is a wonderful foot and lower leg treatment , that originated in Thailand over two thousand years ago. Helping to stimulate the circulation lines and meridians of the body. (Lemon grass, Ginger Foot Bath and Ginger Tea are included in treatment). BENEFITS... * Improved Immune System * Lymphatic Drainage * Induced Relaxation * Pain Relief * Stress Relief * Improved Circulation * Increased Energy.